Design trends for 2013 invite everyone to get comfortable. Interior design trends for 2013 are all about simple yet bold statements, raw materials, and leaning toward sophisticated, masculine lines throughout the home and not just in the man cave. The idea isn’t to overwhelm your space with every new trend, but to incorporate a few ideas with your own perennial decor. Beautiful wood grain doesn’t need ornamentation. Focus on the grain of the wood instead of design details. The wood’s unique pattern becomes art instead of just a construction material. Exotic species such as tigerwood don’t need elaborate details to stand out. Wood is nothing new, so you’ve got to look at it a new way. A custom paneled wall might be out of your budget, but a single 4 x 8 sheet of furniture-grade plywood isn’t. 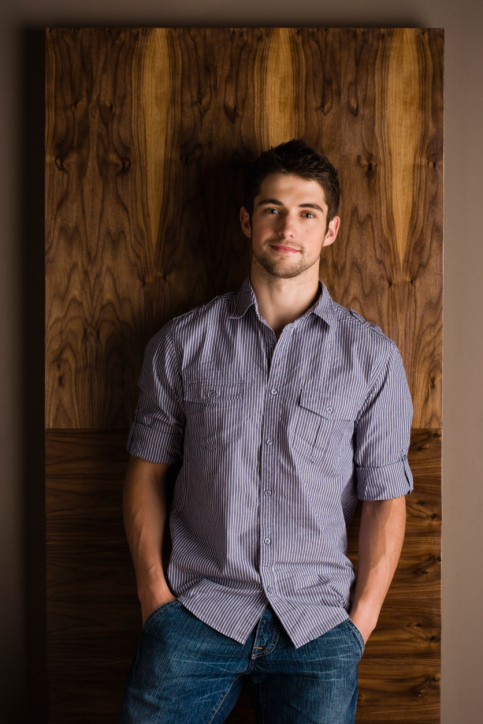 Wrap the raw edge with veneer and seal the whole thing with shellac, and it becomes art for a large, bare wall. Pantone named Emerald Green the color of the year for 2013, but green walls aren’t just about paint. Living panels bring in the year’s hottest color while acting as a natural air filter and humidifier. Think of it as a vertical garden. For about $30, you can buy wall garden foundation panel, which looks like a wall cubby system. The planter sections are slanted so the dirt won’t slide out. Any plant with a shallow root system works. Imagine an herb garden on the kitchen wall or ivy in a bathroom. As plants grow and fill in, they blend into a contiguous, green wall. 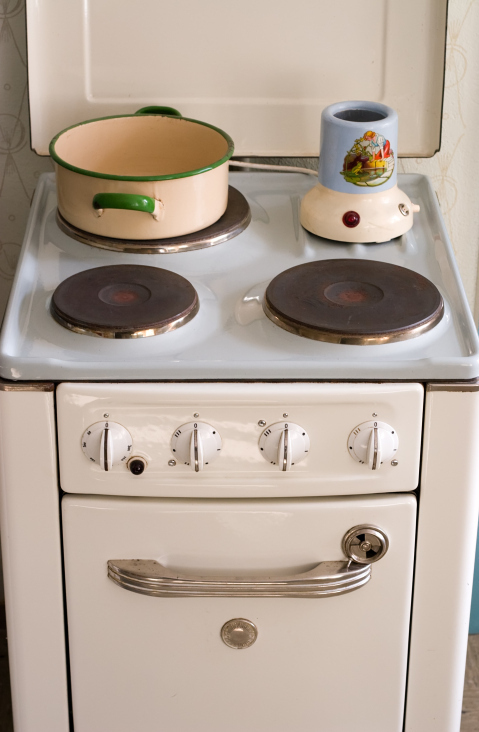 Updated for a modern home, authentic vintage appliances work as well as new. Vintage meets modern in a warm, inviting kitchen where friends and family want to gather. Mix materials instead of aiming for a sleek, uniform room. A new AGA cookstove has the right look, but the $9,000 price tag puts it far from reach for the average homeowner. Find a vintage stove from the 40s or 50s for a few hundred dollars, invest in a professional overhaul and you’ve got the genuine article. Funky details like multicolor glass tile countertops, mixed cabinets and floors that look well worn make your kitchen feel less like an art show and more like a place to mingle. 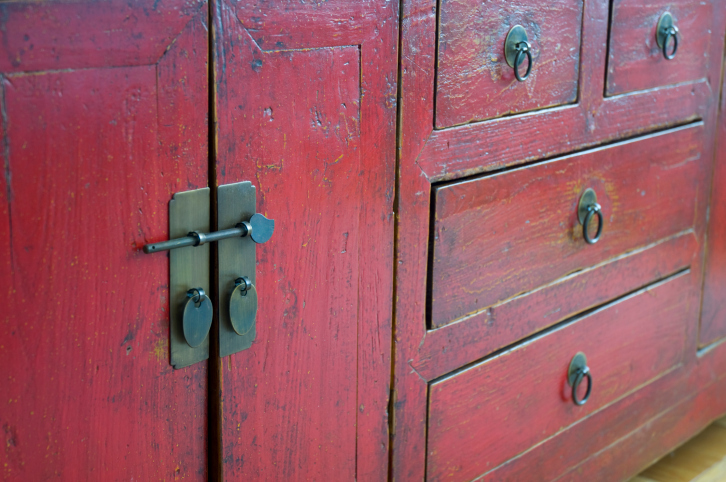 A coat of paint is all you need to give a cupboard a big splash of color. Color is the thing. Bold reds, greens, blues and yellows are everywhere from carpets to walls and furnishings. If your’e not ready for a fuchsia lacquer wall, add a few chunks of color to liven things up. Fire engine red on a filing cabinet, sunny yellow on a pair of nightstands or a dining room hutch that’s robin’s egg blue: paint is your friend when it comes to adding a lilt of color. Men spend more time at home now than in recent history, and the design trends for 2013 show it. “Masculine” isn’t easy to define, but designers are leaning toward simple, sophisticated furnishings such as leather club chairs and oversizes sofas with clean lines. Substantial pieces that stand up to wear aren’t confined to bachelor pads. Think chunky end tables, large mirrors with thick, simple frames and a sofa that isn’t just for looks. Forget about choosing between attractive and durable. Layers of sumptuous textures that you want to touch means homes are more comfy and less for show. A thick wool rug feels warm and lovely underfoot, and a microfiber duvet makes bedtime delicious. Look for easy care fabrics that don’t require dry cleaning and upholstery that you aren’t afraid to use. Simplicity is the key for 2013. Overdone, contrived decor where no one feels comfortable gives way to lived-in, luxurious spaces that make home feel like the best place on earth. This entry was posted in My Blog and tagged appliances, comfortable kitchens, contemporary design, daring colors, design trends, florida, funky colors, green walls, Interior design, miami, modern homes, Sumptuous Textiles, vintage, warm, wood grain on July 2, 2013 by admin.